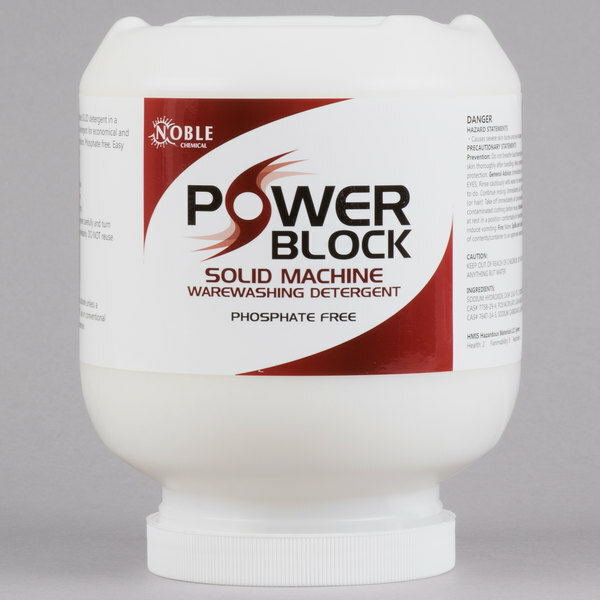 This Noble Chemical Power Block solid dish machine detergent removes even the toughest food and grease stains from your dishes. For use with all soil loads and water conditions, its heavy-duty, super concentrated formula is specifically designed give your dishes and glassware the shine they need to impress your customers or guests. Get the best out of your dishwasher and dishes with this 8 lb. jug of long-lasting, powerful solid dish machine detergent! Not for use on aluminum.